Brislimo Pty Ltd trading as Gateway Property Management ACN 600 819 476 is committed to protecting your privacy in compliance with the Privacy Act 1988 (Cth) and the Australian Privacy Principles (APPs). In the event that you do not consent to Jam Property Corp collecting and releasing your personal information as described above, we may be unable to provide the services requested by you.  You have the right to request access to your information and to request that Gateway Property Management update or correct your personal information. A charge may apply for providing access to your information.